A Midland engineering firm has gone to great lengths – and heights – to ensure the flame doesn’t go out on Olympic celebrations. A Birmingham engineering firm has gone to great lengths – and heights – to ensure the flame doesn’t go out on Olympic celebrations. Tyseley-based Bullfinch Gas was awarded the contract to supply the all-weather gas burners system being fitted into 8,000 Olympic and 620 Paralympic torches. But with that came a quandary – what do you do to ensure the “eternal flame” remains burning regardless of the uncertainty of the British weather? The answer is good old-fashioned engineering – as well as wind tunnel and a trip up a 3560 ft mountain. Andrew Williams, managing director of Bullfinch, said: “We did several tests to make sure it did not go out. We took it to Munich to test it in the BMW wind tunnel. Bullfinch has taken on five temporary employees to fulfil the undisclosed contract, which is the largest in its history. The torch, designed by London-based Edward Barber and Jay Osgerby, is also being made in the West Midlands, by Premier Sheet Metal in Coventry. 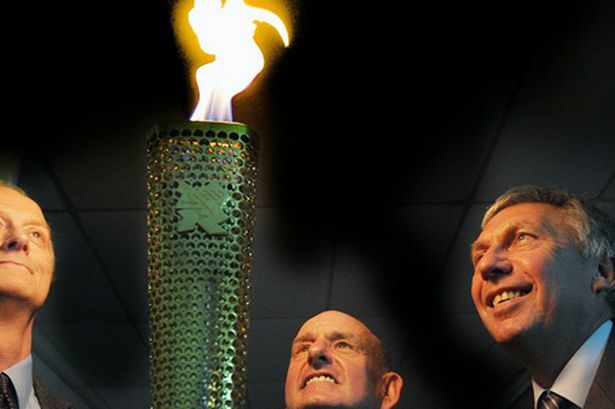 The Olympic torch was lit in Greece this week and the relay will begin in the UK on May 19, and run until July 27 – visiting the West Midlands for the first time in the next two weeks. Mr Williams said it was an honour to land such a prestigious contract, and was hopeful it would have a knock-on effect to sales. He said: “It is a one-off. We have sold this many of some of our products but over a much longer period of time, but obviously we are selling 8,600 over a very short period, so in terms of that it is our largest. It is also very prestigious. We were honoured to win it. Bullfinch was founded in 1959 as a sopin-off from gas fitting firm Rainsford and Lynes – founded by Mr Williams’ grandfather – which has been trading in Birmingham since 1879. The company employs 25 people, while Rainsford and Lynes employs a further 20. Meanwhile, the region is gearing up for the Olympic Games with less than eight weeks until the opening ceremony. Firms in the West Midlands have won £529 million worth of tenders and the West Midlands will host seven Olympic nations at pre-games training camps this summer. Sir Charles Allen CBE, chair of London Organising Committee of the Olympic and Paralympic Games nations and regions group, who visited Bullfinch, said: “It is clear there is fantastic work going on in the West Midlands and I’m full of admiration at the technical ingenuity of managing director Andrew Williams and his dedicated team at Bullfinch.